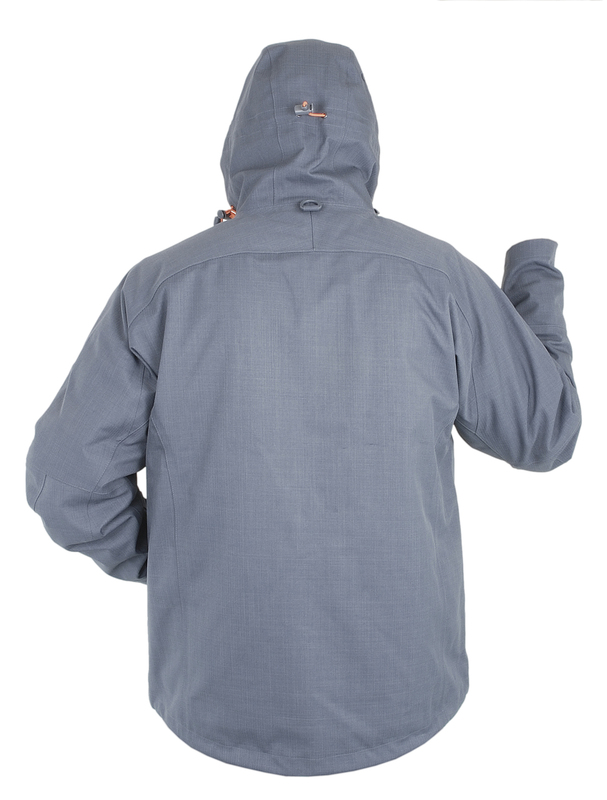 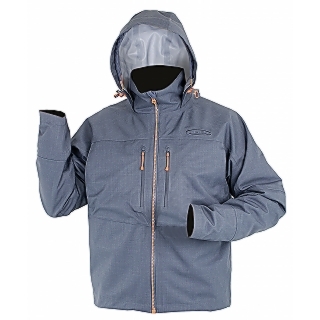 Kust ( coast in English ) is a waterproof and breathable jacket designed especially for coastal fishing. 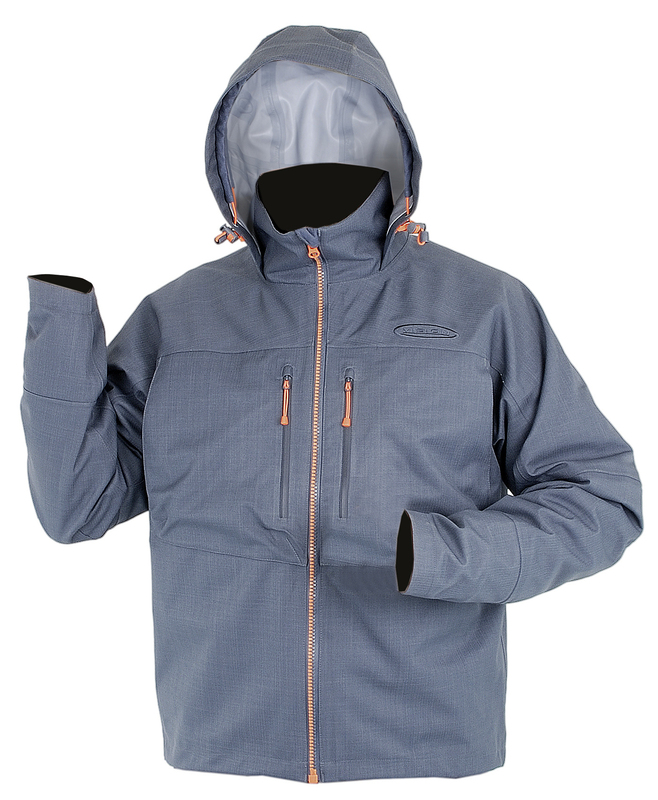 The jacket includes standard Vision wading jacket features, such as strongly curved sleeves, hand warming pockets on side (no fleece because of frequent deep wading), adjustable Velcro wrist cuffs and hem drawstring and large fully adjustable hood to fit nicely over a cap or a beanie. 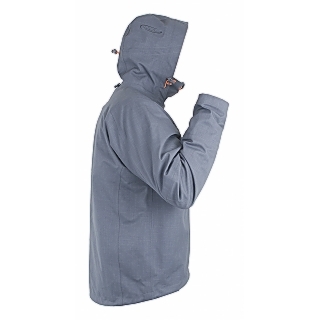 In addition, Kust has some special features: the fleece lined collar is slightly oversized, the inside chest pocket has a pass for headset and both outside pockets are equipped with internal D-rings. 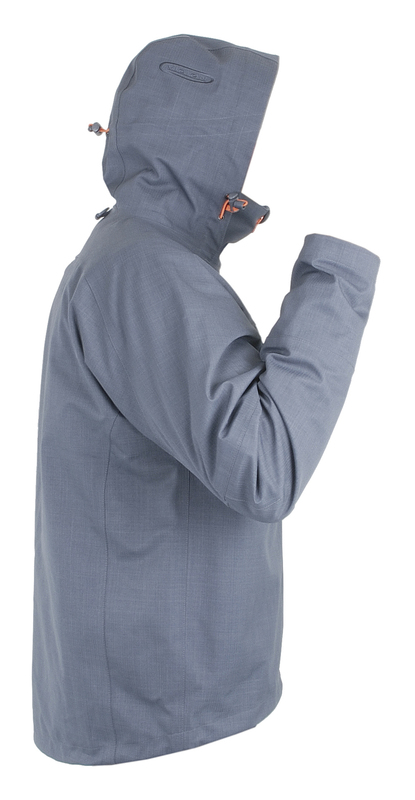 Sunglass wipe on a cord inside left chest pocket.